You can find dogs of every shape, size, and color at Orphans of the Storm®–I just coincidentally happened to walk a number of black ones and brown ones (and black-and-brown ones!) this week. Chevy the one-year-old Heeler mix is a sweet boy who is just a little bit shy and anxious at the moment. He politely waited for his leash to be put on before heading out of his kennel, and he walked pretty well on the leash as we made our way to the run. Chevy is sharing his kennel with another dog, and he was also interested in all of the dogs we saw while we were out, so he could go to a home with or without a four-legged friend. Chevy was a little unsure of being pet at first, but when I sat down on the bench inside the run at one point, he soon came over and hopped up onto the bench next to me so we could enjoy each other’s company. He let me know when he was ready to leave by going to the gate and making little noises. 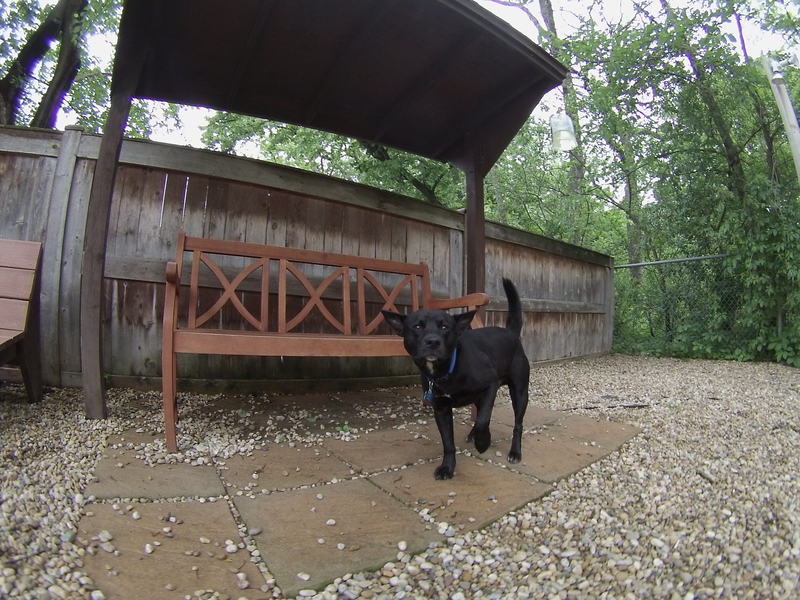 Since Chevy is both still a puppy and a breed known for being active, he would probably prefer to be in an active home where he can come out of his shell and do some serious playing! Stop by soon to see if Chevy is the pup for you. Lady the eight-year-old Rottweiler/Doberman Pinscher mix may look familiar to some of you. I wrote about her back in 2012 and she was adopted shortly thereafter, but she was recently returned because her owners are moving and can’t bring her with them (which, sadly, is the same reason she and her brother were originally brought to the shelter in 2012). Everything I first wrote about her still applies–or actually, she might be even sweeter now than she was then! Lady can still be very strong, especially when she first gets out of her kennel, but I think she just doesn’t know her own strength. She is the biggest cuddle-bug who rested her head in my lap while I sat on the bench. If I stopped petting her at any point, she’d nudge my arm with her nose to get me to start again. When we were in the off-leash run, she stayed by my side pretty much the entire time. She also very politely sniffed the little dog on the other side of the fence. She was raised with her brother, so she could potentially go to a home with another dog. If you’re looking for a gentle giant, come in soon to meet Lady! 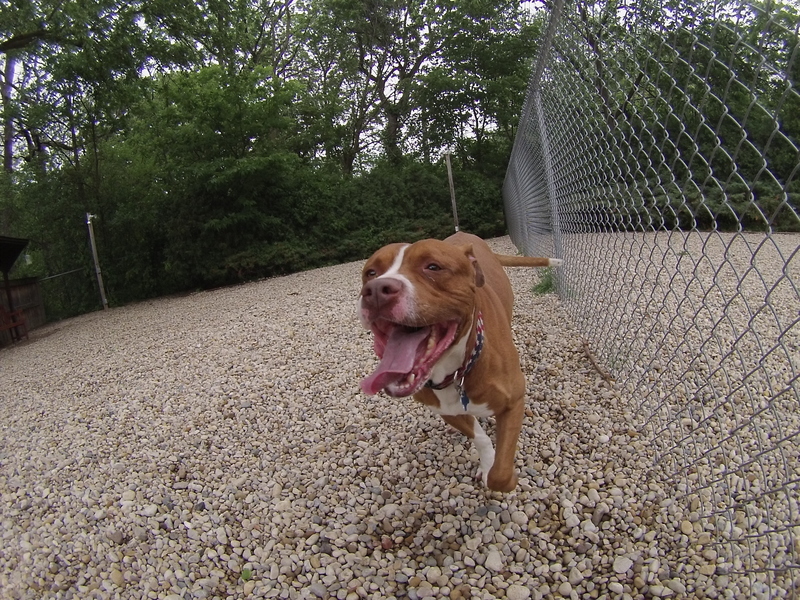 Red the three-year-old Staffordshire Bull Terrier mix is just the happiest boy. I don’t think his tail stopped wagging the entire time we were out. Red needed to have FHO surgery on one of his back legs when he arrived at the shelter, but he is now fully recovered and ready to join his furever family! Red was bounding around the off-leash run as if he had never had a leg problem. Once Red knows you, he loves you. He gives excellent doggy hugs and will cover you with plenty of doggy kisses, and will even try to fit himself into your lap (though only about half of him can fit at a time). Red also seems to be pretty friendly with other dogs, at least through a fence. He even tried to get a little Chihuahua mix to race him! This affectionate boy is ready to show you just how “lova-bull” his breed can be. 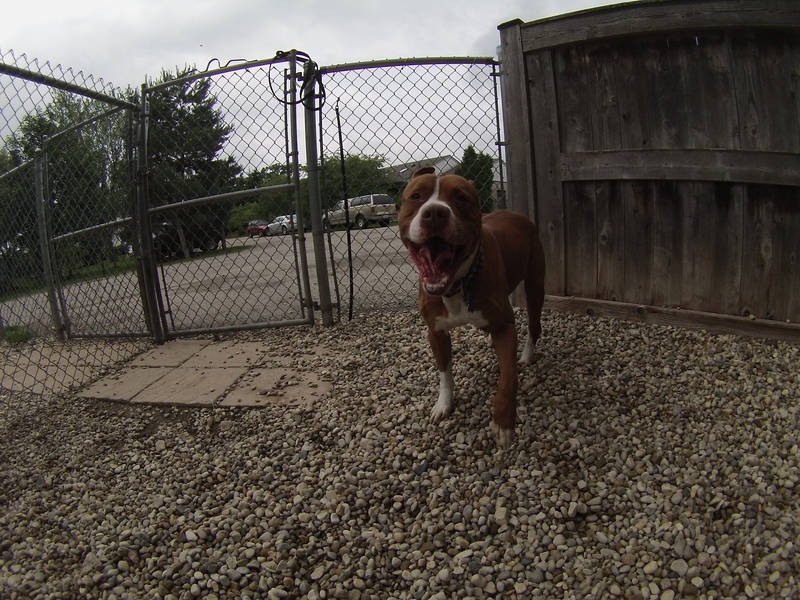 Come in soon to meet Red! Brandy the eight-month-old black Labrador Retriever mix was found as a stray but is very well-behaved, especially for a puppy. When the Orphans of the Storm® photographer was taking Brandy’s picture for the website, Brandy quickly sat as soon as she was shown a treat. Even when we passed the photographer on our way back to her kennel at the end of our walk, Brandy sat again without any prompting. She’s obviously a quick learner! 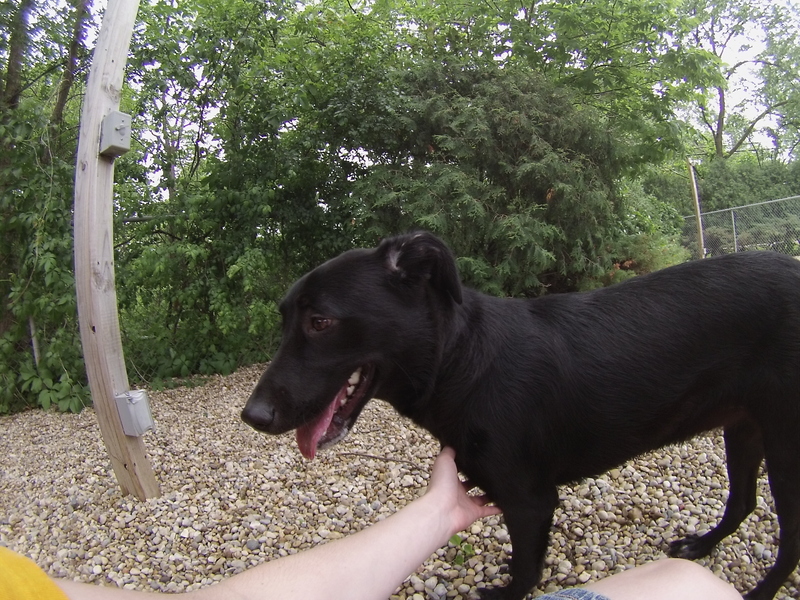 Brandy is a sweet girl who gets along with people and other dogs alike. She was sharing her kennel with a little Bichon Frise who has since been adopted, so she could go to a home with or without another dog, big or small. While we were in the off-leash run, Brandy happily joined me on the bench and put her paw in my lap so we could cuddle some more. 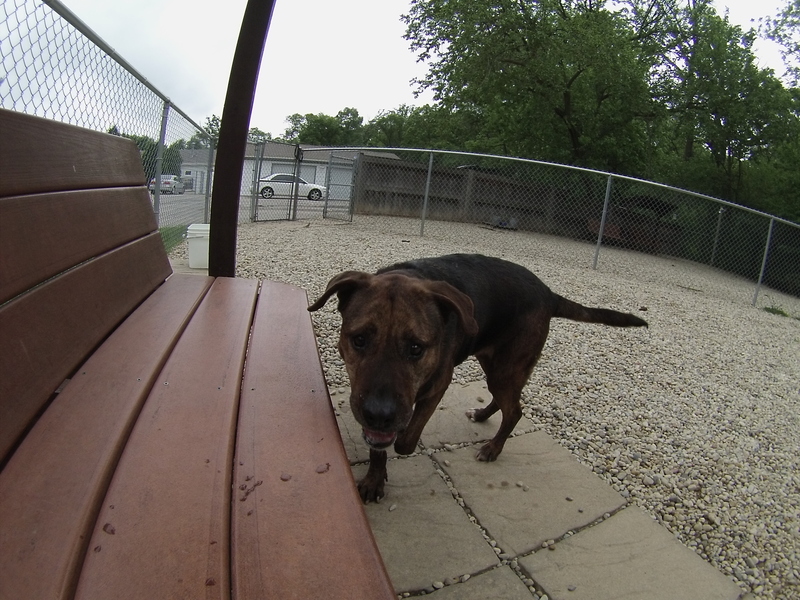 On your next visit to the shelter, be sure to say hi to Brandy! Fred the seven-year-old Shepherd mix has been at the shelter for at least a year now, and I’m upset with myself for not having walked him before because I have really been missing out! Fred is one of the select few “backyard dogs” who gets to spend time in one of the yards at the shelter that has a shorter fence, which he won’t jump (which is good for possible future owners to know!). Fred is well-behaved in pretty much every way. He walks great on the leash, he knows basic commands like “sit,” and he loves to cuddle. One of his favorite things is getting his back scratched, right by his hips and base of his tail. He does a little dance that is just too cute. The only thing holding Fred back (in my opinion) is that he doesn’t get along with other dogs. But when we were in the off-leash run and Clarinet was barking at him from the run next to ours, he didn’t react at all. So it really depends on the situation, and it shouldn’t be held against him. Fred is more than ready for his second chance. If you’re a one-dog-at-a-time kind of owner, come in soon to meet Fred! I also saw Blush, Courage, Daka, Honey Lamb, Joy, Roxy, Smoochie, Tulip, Zak, and Zoey. P.S. Apologies for the extra human limbs you see in the pictures this week. 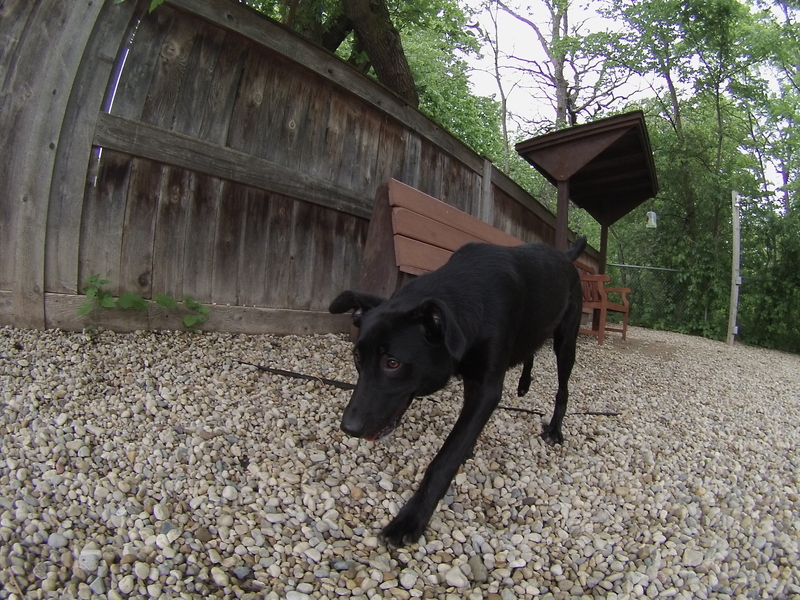 Still getting used to the new camera! Posted by Meet the Pooches on June 11, 2015 in Dog Profiles and tagged adopt, adoption, animal shelter, animals, Chicago, Deerfield, Doberman Pinscher, dogs, Heeler, Labrador Retriever, Orphans of the Storm, pets, Riverwoods, Rottweilier, Shepherd, Staffordshire Bull Terrier.